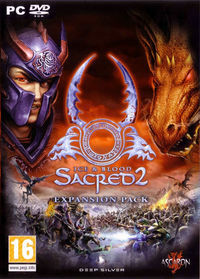 Welcome to Ice and Blood, the add-on to Sacred 2 Fallen Angel! Two new regions are waiting to be explored by you. 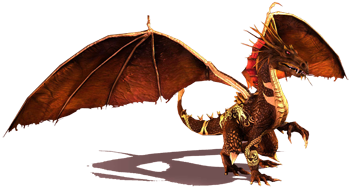 There are new quests and puzzles to solve, dangers to overcome, mighty foes to defeat and new items to acquire. In short, everything a true hero can wish for! The legendary Crystal Region of the Seraphim lies to the northwest of Ancaria. Only the best hunters will survive on the hunting ground of the winged ones. Hidden by impenetrable jungle for centuries, lies the horribly scarred Cursed Forest and a terrible mystery that can only be unravelled by a true hero. If you would like to travel to either of these new and exciting regions, then proceed to Thylysium, the capital of the elfin kingdom. There at the harbour, search for the captain who will allow you passage to the respective part of the world. And now, enjoy Ice and Blood! Character personalization – Choose one of 7 heroes which now include configurable appearances. New enemies, items and end bosses - New, unique items for heroes, the powerful Crystal Phoenix, the magical eye, scarab and more. Two extra character creation slots. Ice and Blood Screenshots - See official screenshots showing off the new expansion content. Renders - View high-quality renders of the creatures and characters introduced in Ice and Blood. Concept Art - See designs and other artwork for Ice and Blood. Wallpapers - Download high resolution Ice and Blood wallpapers. This page was last modified on 29 January 2015, at 04:47.